Anybody who is anybody seems to be planning a trip to Seoul this year. As somebody who spent almost two years living there, I’m glad it’s finally getting the attention it deserves! It is an incredibly vibrant city, and really has something to offer everybody. Unlike Japan, it is surprisingly affordable, making it perfect for the budget traveller. I’ll put my hands up and admit I am terrible at budgeting and frequently run out of money before I intended to! Therefore, I have become pretty adept at finding cheap things to do while living in Seoul. 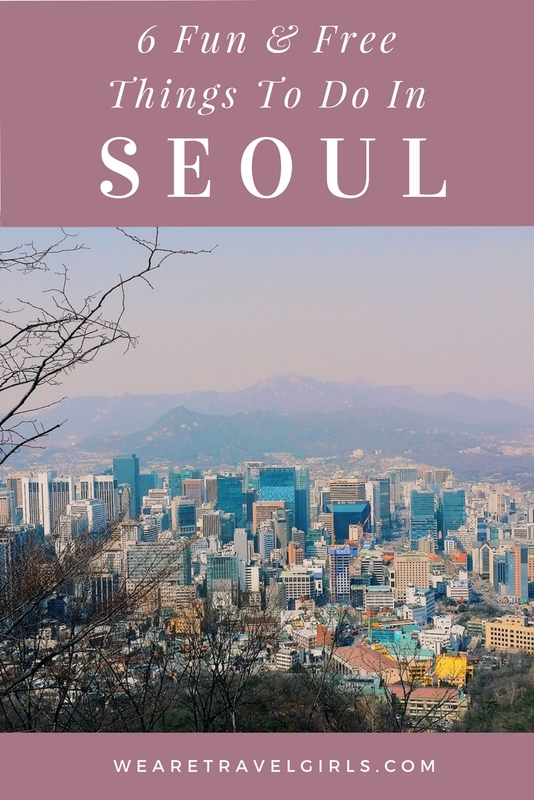 Generally, a trip to Seoul is not going break your bank. If you stick to Korean food, you can easily eat for £12-15 a day. Seoul has so many things to do for those counting the pennies. 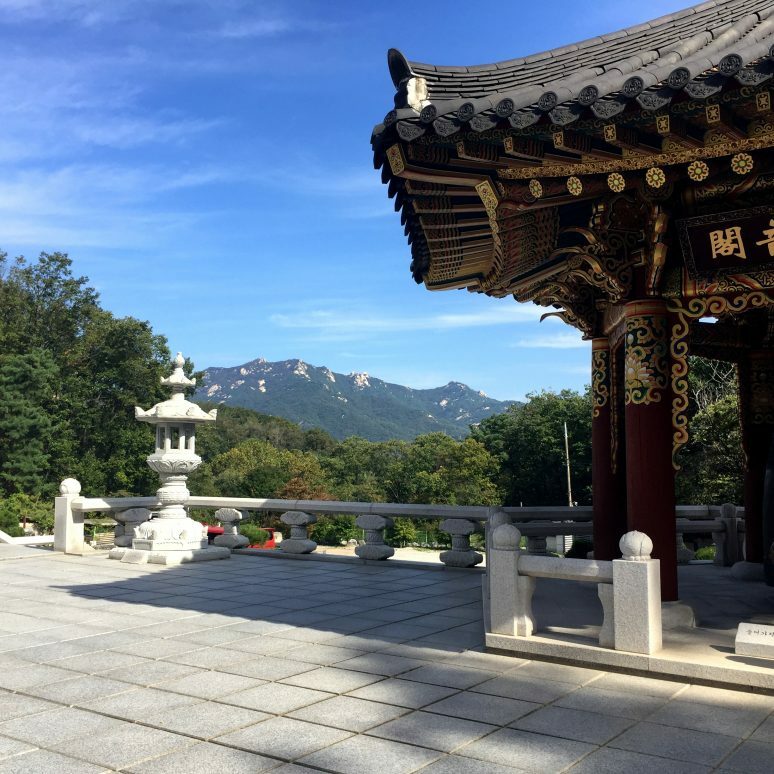 In this article I share 6 free things to do in Seoul! 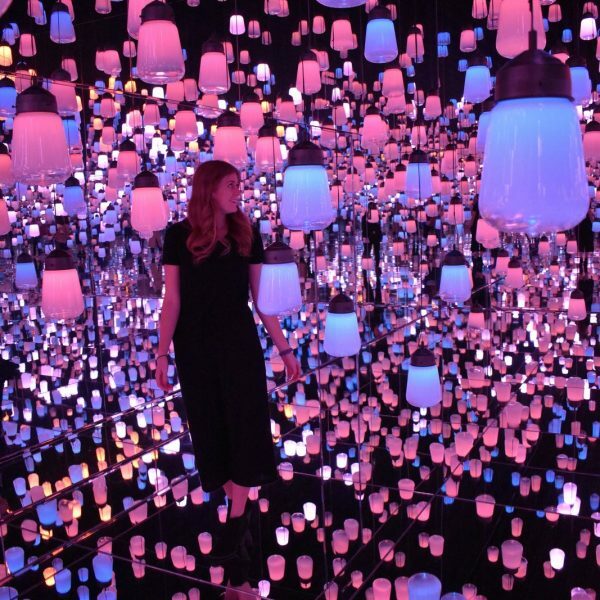 Seoul has some great museums, and luckily, they’re mostly free! Whenever I visit a new country I really enjoy visiting their national museum. It always helps you understand the country and its people far better. This was particularly true for South Korea. With recent tensions on the Korean peninsula, I would highly recommend the War Memorial Museum. It explains the entire situation in a clear and thorough way. The National Museum of Korea also has a number of historical displays about Korean history. As with everything else, Korean museums are well organised and have all displays in English. The only drawback is that some of the audio and visual installations are in only Korean, which is understandable! As Korea is a country of extreme weather and seasons, it’s always good for have a couple of indoor options and these are perfect for that. 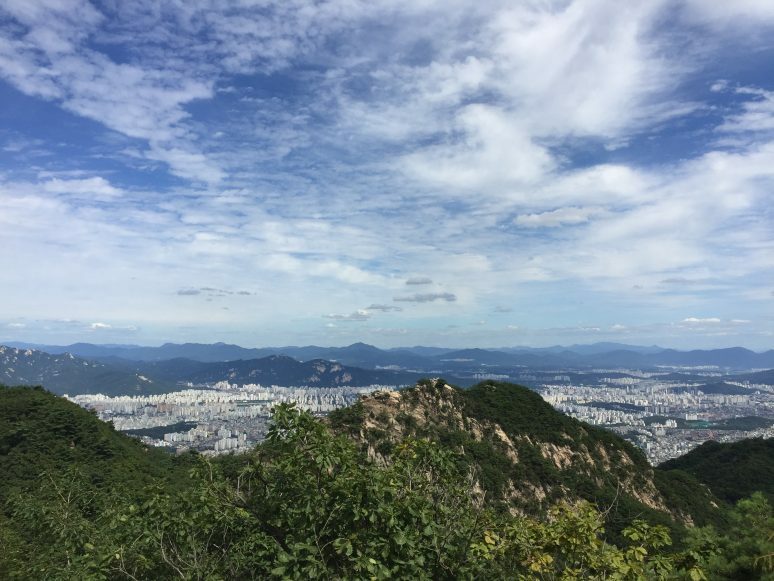 Korea is famous for hiking, something I didn’t know until I arrived. In fact, the country is made up of 70% mountains. It is easy to forget this startling fact if you spend your time in cosmopolitan Seoul. Occasionally, you may glimpse a peak or two nestled between the buildings, but usually it is too hazy. When you take a subway or bus away from the hustle and bustle, you’ll be gobsmacked over how many mountains there are! 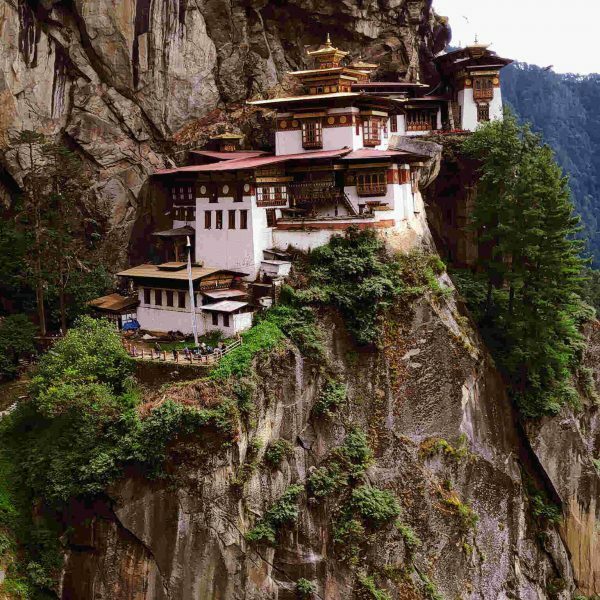 Even better, almost all of these will have multiple hiking routes to various breath-taking viewpoints. Most have several stalls and restaurants around the entrance so you can easily make a day trip of it. Make sure you take a photo of the trail map BEFORE you set off as it can get pretty confusing once you’re up there. 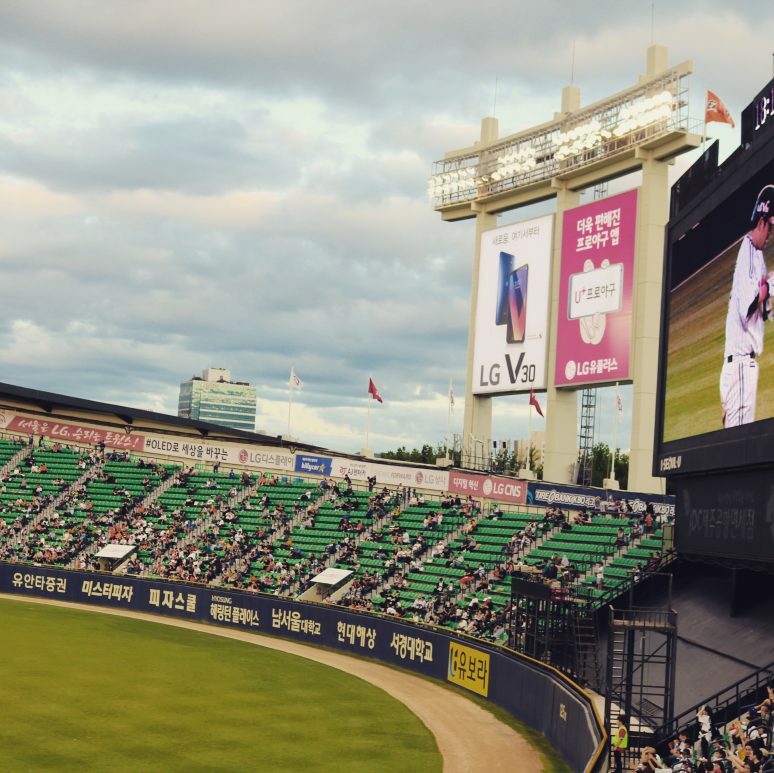 One of the most popular summer pastimes for Seoulites is watching baseball. 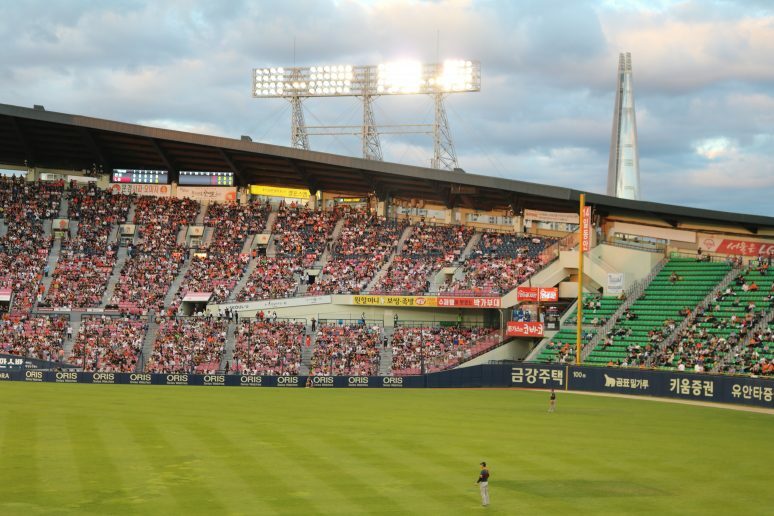 I spent many an hour discussing teams with my students, and it turns out baseball is a big deal in South Korea! There are a number of stadiums dotted around the city, but the most popular is in Jamsil (just east of Gangnam). This is where the Olympics were held in 1988, with a number of stadiums, pitches and courts still in use. Matches rarely sell out and happen weekly, often more frequently. The seats vary in price but can start as low as 7,000won (about $7). You can usually buy on the day so it’s best to wait for a sunny day. Once you’re inside, there are a multitude of stalls jostling to sell you cheap beer and take-out food. Even if you aren’t a massive sports’ fan, it’s a fantastic experience watching the game and the cheerleaders, and is basically a great way to while away an evening. 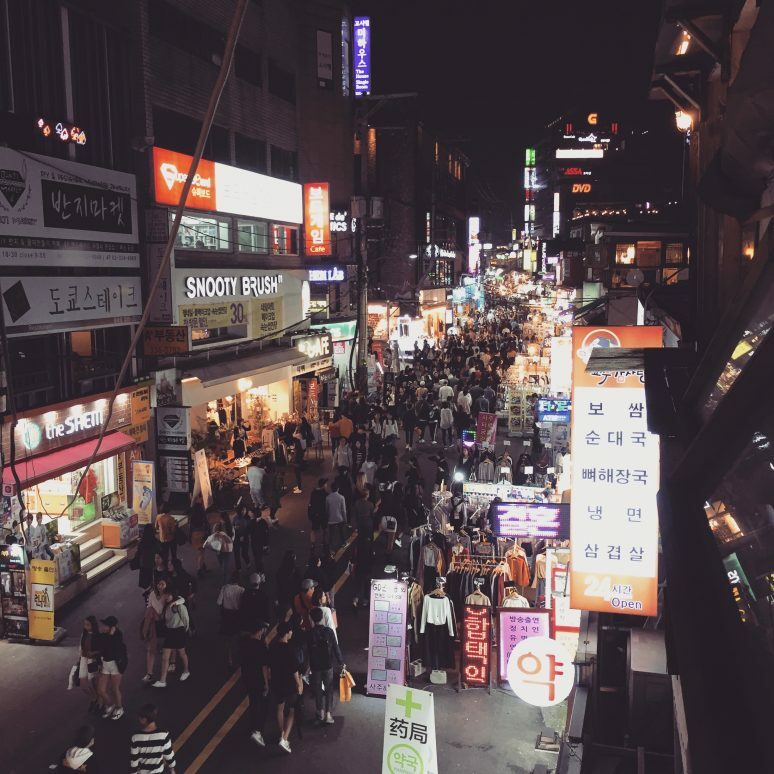 Hongdae and Hapjeong are the buzzing student areas of Seoul. Most of Seoul is pretty glitzy and pristine. If you’re looking for more alternative culture or a more ‘urban’ vibe, then head to Hongdae. While you COULD spend a decent amount of money here, it can always be a great place to spend a cheap afternoon/evening. As it is located near a university, there are always students playing music and performing along the main strip. These aren’t your average buskers. They are very well trained students practicing in front of a live audience. You can see anything from singing to groups of K-Pop dancers! 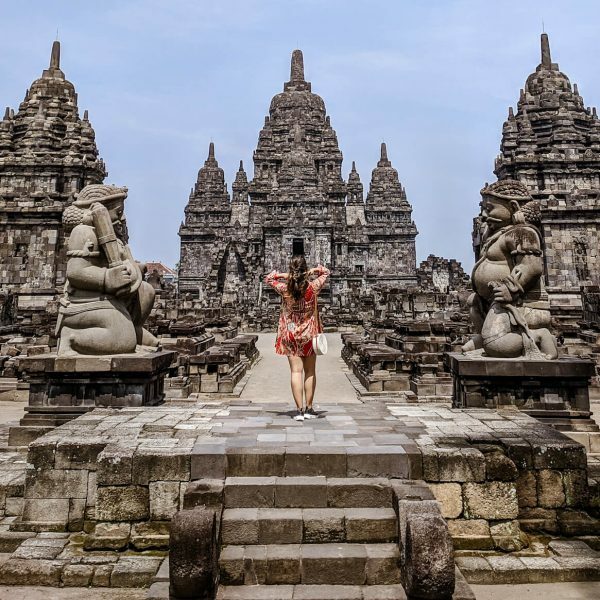 Wandering between them is a great way to see some culture for free. 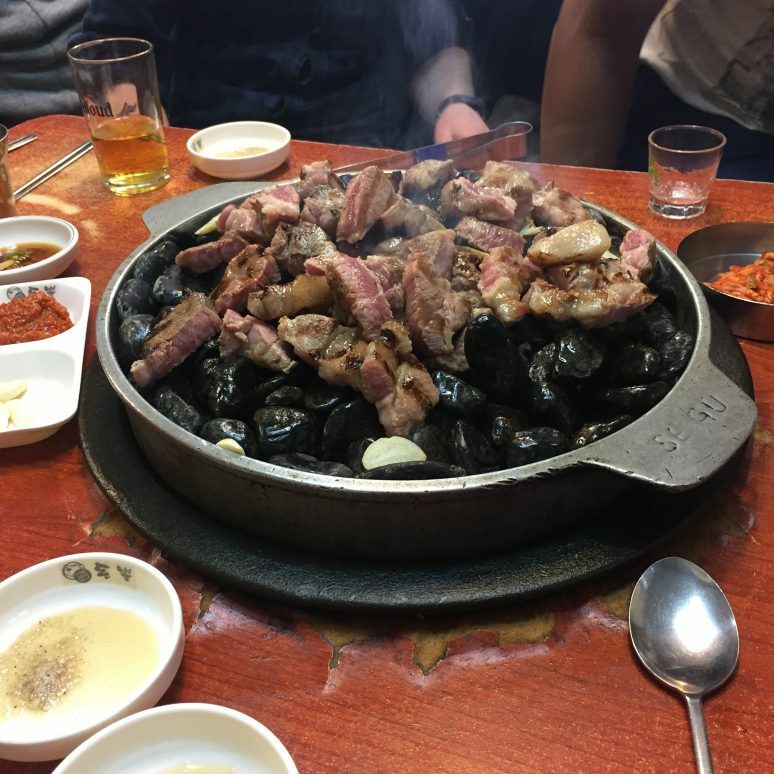 Hongdae has a plethora of restaurants, mostly offering Korean cuisine relatively cheaply. Even better are the street food stalls scattered around, offering various local snacks. If you want to stay late, the park is also a great place to head. Again, there are often performers with lots of students sat around eating, chilling and drinking. Hapjeong, which borders Hongdae, is a bit classier. It has far more international food and lots of little boutique shops, great for buying gifts and delving into Korean fashion. With its tree-lined streets, it’s a great place to enjoy a coffee or a walk. To reach this area you can take the subway. The closest subway stations are Hongdae- Hongik University (line 4 Gyeongui-Jungang, AREX) and Hapjeong has its own subway station, (line 2 and 6). This is a seasonal activity as it is outdoors! Running through the centre of Seoul is the Han River. All along the south bank there are parks and walkways, which become VERY busy during the summer. As somebody who lived in east Seoul, Banpo was my go-to chill out spot. While it isn’t quite as beautiful as the luscious parks in London, it’s a great outdoor space, which is rare in Seoul. On the weekends it becomes littered with Korean families and their obligatory tents. Groups of young people and friends sit around drinking beer and playing games. 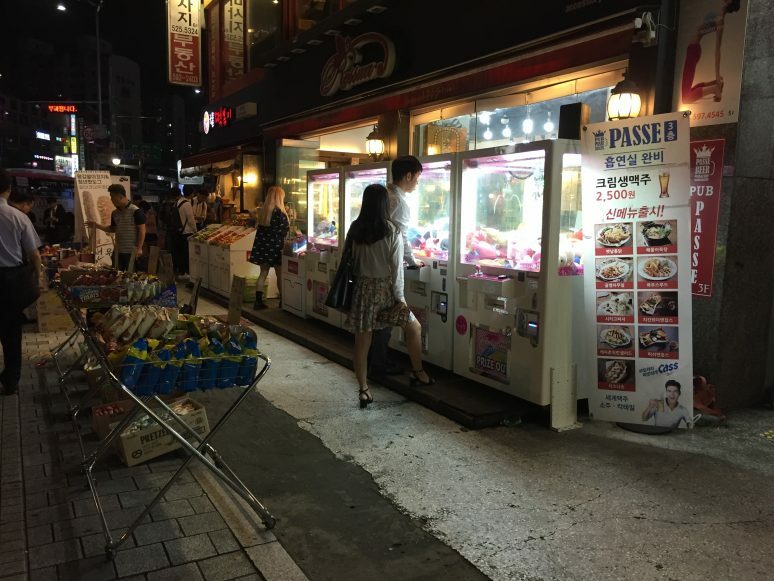 If you are hungry, there are conveniently placed convenience stores, selling snacks and drinks. It is also possible, and encouraged, to order take out here, which blew my mind! Lots of people order chicken and people often come around with menus. During the summer, food trunks descend on the area, selling a multitude of cuisines and drinks. It can get pretty hot during the middle of summer, but weather permitting, this is a great place to escape the busy city and relax. Myeondong is the main shopping district in Seoul, especially among the younger crowd. Obviously, you CAN come here and spend an absolute fortune, but I have managed to come here and spend nothing. The atmosphere is a worthwhile experience: hectic and vibrant. Many Korean brands have their flagship stores here, which are good fun to marvel at. One of the main attractions here is the street food. During the weekend, there are stalls set up and down the middle of the main shopping areas. 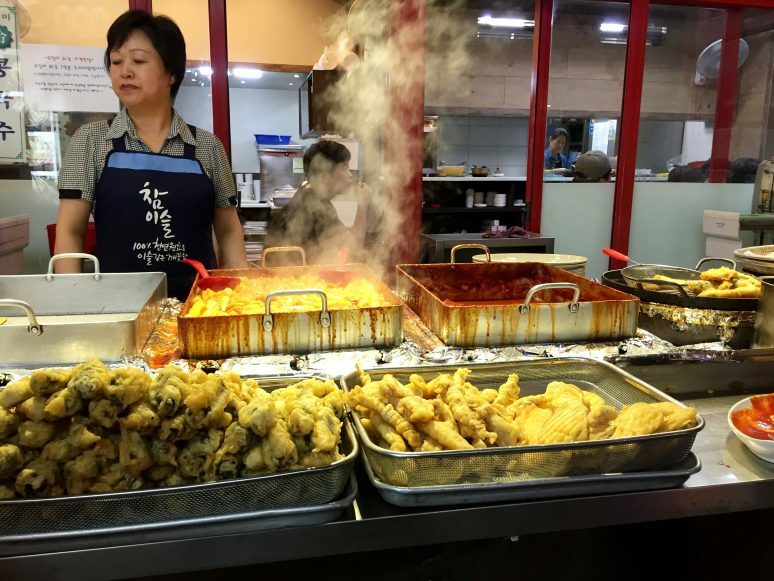 Offering both Korean and international foods, it’s a great way to eat for cheap while still sampling a good variety. One of the best things to do here is explore the side streets. Here you’ll find the quirky animal cafes and shops. If you want to experience Korea at its more eccentric and colourful, make sure you take a trip to Myeondong on the weekend. So, these are my 6 free ways to see Korea. Obviously, some of them can involve spending, particularly on food, but they can be as cheap or as expensive as you want. For me, the best way to experience a new place is to walk its streets and take in the changing atmospheres. 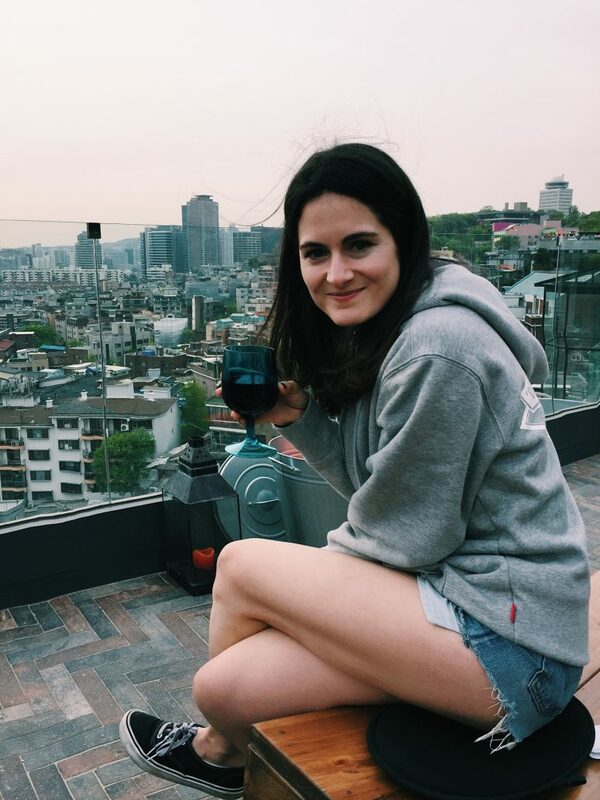 Have you ever been to Seoul? If you have any tips or recommendations of fun and free things to do in the city, please leave them in the comments below. I recently visited Seoul for a week – a fab place to hang out is the Cheonggyecheon Stream. Lovely walk by day and in the evening food trucks and stalls appear. Great street food, good prices. Not too far to walk from Myeongdong either.